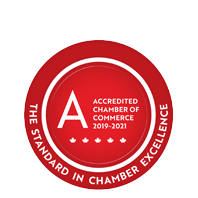 Milestones Children's Centre | Agencies & Associations | Child Care Services | Community Services | Education - Business Directory - St. Thomas & District Chamber of Commerce - ON, ON ? Milestones Children's Centre is a not-for-profit registered charity committed to providing quality care and learning experiences for children in a safe environment. They provide child care to children birth to 3.8 years of age at the Children's Centre located at 5 Shaw Valley Drive. In addition they strive to support families by providing before and after school age care in a variety of St. Thomas schools and full day care during school breaks. Their programs enrich the emotional, social, physical and intellectual growth of each child. All of their programs are licensed by the Ministry of Education and are inspected annually. Milestones Children's Centre will continue to be a valued community leader making a positive difference in the lives of children and families by providing exceptional care, expanding services and building partnerships. Please call or drop by for further information.